It’s here. It is finally here. Officially new in town comes the first ever Indoor Football League (IFL) team, the Bemidji Axemen. 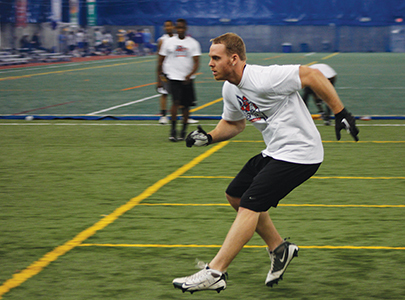 In late November, Axemen officials conducted an open tryout at the West St. Paul Sports Complex located in St. Paul, MN. 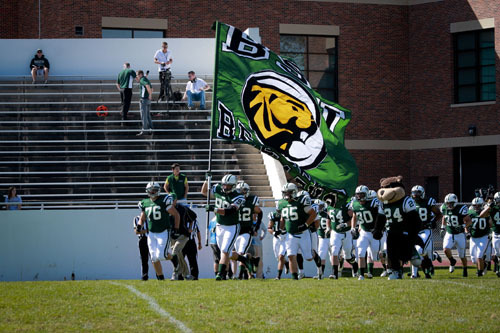 Guys came in from Bethel University, Bemidji State University, other Minnesota colleges, and out-of-state universities. Charles Hermes, Anthony Hermes, Michael Grayson, and Jeff McDonald, who are current BSU (Bemidji State University) students, all paid $65 to give it their best shot to be taken on as an official player of the Bemidji Axemen. After the tryout, Anthony was pretty happy with his results. He did note that there is always room for improvement. Hermes, his brother Charles, Michael, and Jeff are all currently waiting to hear back from Bemidji Axemen officials to see if they did indeed make the squad. 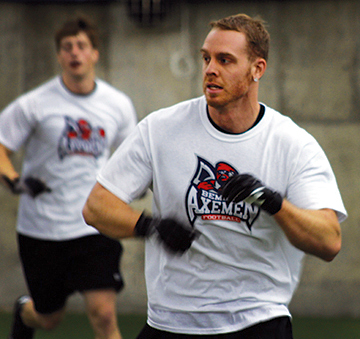 If they do not receive a call, they all are considering trying out again if the Axemen decide to have another tryout. It is pretty clear to say that these four guys have the commitment and work ethic to make the team, but it will all come down to, as most coaches and spectators say, ‘Who wants it the most?’ Only time will tell who will get a call from the Bemidji Axemen Organization. The Bemidji Axemen are set to open their regular season slate of games on Friday, February 7th, 2014 against the Cedar Rapids (Iowa) Titans at the Sanford Center here in Bemidji, MN, with kick set to take place at approximately 7:05PM.